Lanette Suttles has a magic carpet that carries her back to a time when a steak-and-potato dinner cost 65 cents and coffee was only a nickel. How she got that magic carpet is both a love story and a testament to enduring friendships. Suttles took an algebra class at Georgia State College in 1945, where she met the man she knew she would marry. He was tall, handsome and charming, and just so happened to be a professor. Sparks flew between the two of them when they bumped hands one day as she handed him a paper – soon after, they became smitten with each other. The professor, Bill, taught classes until 9 p.m., and for dinner one night, Lanette took him to a little restaurant owned by a friend she’d known since childhood, S. Truett Cathy. The restaurant was the Dwarf Grill, the predecessor of the Dwarf House and Chick-fil-A. 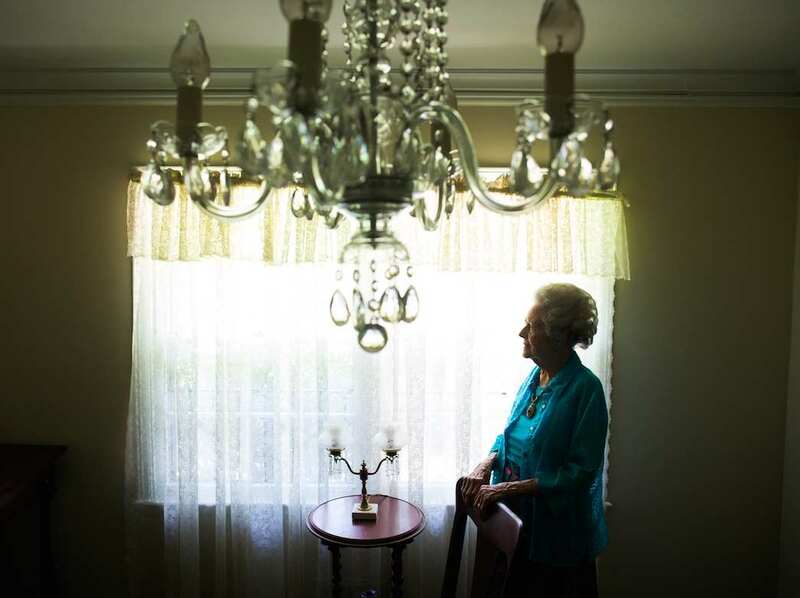 That was their first date – and after five decades of marriage, they would have their last date there, too. Bill and Lanette got married and became best friends with Truett Cathy and his wife, Jeanette, a couple who shared the same values and outlook on life, of serving others in their community. They ate together almost every week. As Bill rose in academia, eventually becoming president of Georgia State University, he also served on the Board of Directors of Chick-fil-A’s Team Member Scholarship foundation, which has helped thousands of Chick-fil-A employees pay for their college educations. During the same time, Bill also served as the pastor of a country church for 49 years, where he and Lanette spent many days working the soil with the church congregation and leading Sunday services. Through the years, the Cathys and Suttles remained tight friends. When Bill retired from GSU, Truett sent him and Lanette a copy of his original menu from the Dwarf Grill restaurant, which had been renamed the Dwarf House, along with a letter that said, “Thank you for being my friends so many years. I am authorizing you, anytime that you eat at the Dwarf House and have this menu with you, to inform the one serving you that you are to be charged the 1946 prices.” He added, “This is a good deal you should take advantage of often.” Bill and Lanette did so countless times over the decades. Chick-fil-A knows of three other menus like theirs that are still in existence. Now in her eighties, most of Lanette’s vision is gone to hereditary macular degeneration, but she still sews (by touch, she says). She dresses impeccably in festive colors, wears perfect makeup and beautifully coifed hair. And nobody, she informs visitors before taking them by the hand, comes to her house without her blessing them with a heartfelt prayer. Suttles still goes to the original Dwarf Grill, now named the Dwarf House. It still serves the items on that original menu, just as it did on the Suttles’ first date. Her special menu lists a breakfast of waffles, syrup and coffee for 25 cents, a hamburger for 15 cents, fried ham for a quarter and that steak plate for 65 cents. 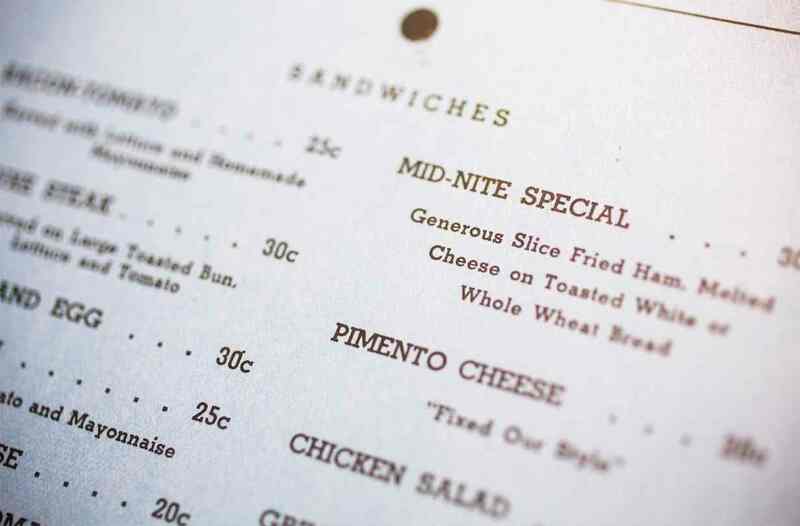 Because the menu is from 1946, long before Truett and his brother Ben created the iconic Original Chicken Sandwich, that’s one item it doesn’t have. Dwarf House employees know her so well that she doesn’t need to bring in the menu anymore to get the old-time prices. She keeps the menu enshrined in a frame like an only-child’s diploma. So for Suttles, it’s more than just a menu, and more than a magic carpet to less expensive times. It’s a connection to a magic spark of love when two hands bumped – a bump that sparked five decades of romance and ignited friendships of a lifetime.